I met with Forestry, TNRD, Sally Watson, and 70 Mile House VFD volunteers yesterday at an information session on the structure of the Wildfire Management Branch. Below are some contact numbers for WMB. 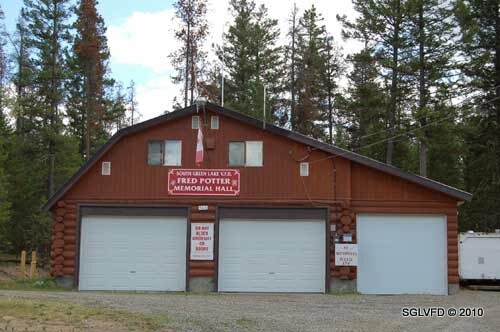 A reminder of the South Green Lake VFD AGM Saturday, July 9 at 10:00 A.M. It will be held upstairs at the Fire Hall at 546 South Green Lake Road. We are having a guest speaker, Steve Law R.P.F. to talk about the prescription and what that means to residents and property owners. SGLVFD AGM July 10th @ 10:00 a.m.
and donut. We value your input. Please be advised that Dale Dyck and Bob Walker will be attending this meeting on behalf of SGLVFD. The April 7th meeting is a great opportunity to meet the Forestry Reps, Dispatch Staff , TNRD Staff , RCMP, PEP and Kamloops Fire Rescue. Thanks to both of your…….